Welcome to Namur’s oldest hotel! 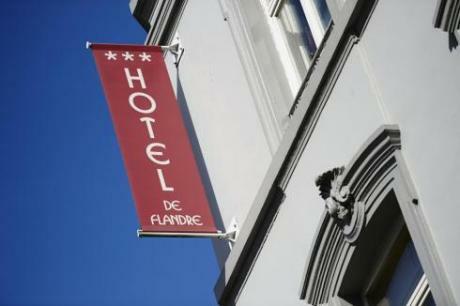 Situated in a landmark building in the capital of Wallonia, the Grand Hotel de Flandre*** is in an ideal location: opposite the railway station and just a few steps from the historic centre of Namur, it is an intimate city on a human scale that offers a range of activities to suit all tastes. Built in 1904, the Grand Hotel de Flandre*** is the oldest hotel in Namur! It has been able to preserve its authenticity by means of an elegant décor that is both classical and modern. The hotel boasts 33 huge and refurbished 3-star rooms, some of which offer a magnificent view over the Citadel of Namur. The hotel also has 6 studios reserved for longer stays. Please note that check-in begins at 2 p.m. (14.00 hrs), and check-out must take place before 12 noon (optional late check-out*). will advise you on the various activities and facilities in the area. * Services marked with an asterisk are chargeable.